Deer scouting basics are encouraged. It is by foot only. All scouting requires a telephone reservation. Scouting includes any activity on the land such as foot scouting, placement/take down of trail cameras, placement/take down of stands. We are deer hunters. They have time during the season to hunt as this is a self guided hunter organization. If they had to guide deer hunters then they would not have time to hunt. The effect of this is they know full well how hard trophy whitetail deer hunting is. How some days in stand are harder than others. How rare a shot opportunity is and so on. They know that all self guided deer hunters want to scout and they will assist that scouting effort. 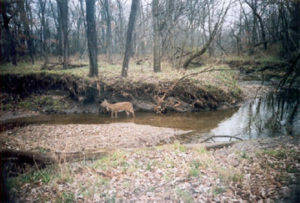 Deer scouring is distinct between during hunting seasons and outside of any hunting seasons. During hunting season scouting is that period of spring turkey hunting and the first of the fall deer seasons to the last day of any deer season. If scouting outside of any hunting season the deer hunter will find land access for scouting very liberal. If wanting to scout during spring turkey or fall deer seasons then scouting is restricted to lease land not reserved for a hunt. During spring turkey season from April through May. Combination turkey hunting and deer scouting. August and September to hang stands and early season combination scouting and hunting trips. Planning for a scouting trip is to anticipate having more land to scout than daylight hours will allow. Bring water to carry. Bring an ice chest with lunch. If scouting during rain periods anticipate impassible mud roads. 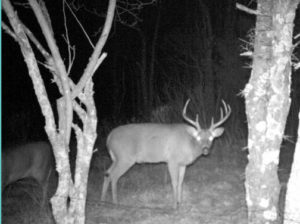 Scouting cameras are permissible Put them out at your own risk. Landowners are busy during the common spring and fall scouting periods. they over lap with planting and early harvests or perpetration for harvest. Every year we will have a farmer – hunting lease holder – complain to the office to keep the hunters from bothering them. We ask that all who scout during this time period always be friendly to any landowner. We also ask to understand the landowner’s point of view. That is he is working his job and just like your job unrelated interruptions simply add to work hours. We offer private lease land deer hunting for the self guided hunter. A simple statement that means more that all who hunt with us may hunt as they desire. 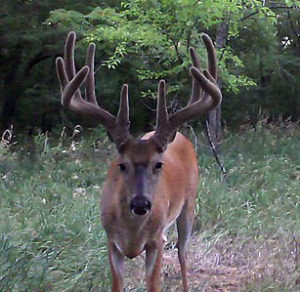 When it comes to trophy Whitetail Deer hunting, it all begins with scouting. Another simple statement we bring to the front as recognition that do it yourself deer hunting begin at this point rather than opposed to a guide service that leads the hunter by the hand. We offer this discussion as only a means to set the balance between the Association and the hunter as to the relation between these two entities in terms of scouting as the beginning point of a deer hunt. The first is that which all trophy deer hunters seek for themselves and that is to conduct their own deer scouting. 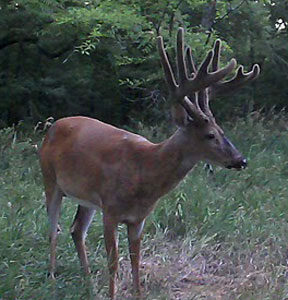 The second approach to MAHA deer scouting is that conducted by the staff through their 12 months a year boots on the ground first hand experience with the land, talking to landowners and tracking from year to year trophy whitetail production within the limited area of Missouri, Iowa and Kansas. 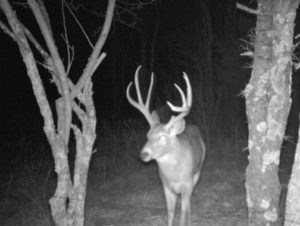 This second aspect of our deer scouting provides the jump start necessary for the whitetail hunter to get within the right habitat for his hunting style without having to do extensive research and then find land access. That jump start is for the first year member. After that first season most will have defined an area they want to concentrate within and will continue to work those leases. 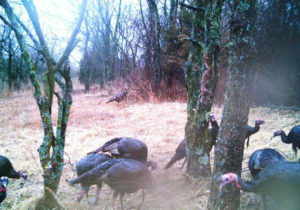 The most common approach to deer scouting is dovetailing it with a combination scouting and turkey hunt. Deer scouting while on a spring turkey hunt before the foliage cuts visibility, no bugs/ticks, cool and not cold weather makes for a more fruitful experience. While scrapes will be difficult to find due to weather erasing their presence, rubs and trails provide much to the behavior and movement patterns. Combining such a spring turkey hunt and scout trip with that of fall hunting gains a far greater appreciation of deer movement than simply that gained from a week fall hunt. Deer hunt preparation need not be limited to the spring. Summer long through early fall deer scouting allows for a wide window of time to get in as much boots on the ground time before the season. 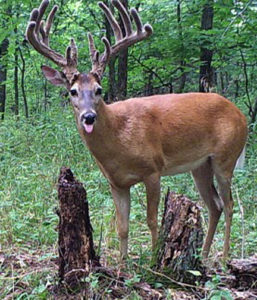 This time should be spent not just finding the habitat of preference, food sources, water sources, trail canalizing and bedding areas, but also the preparation of tree stands to include hanging of the stands well before the first hunt. By this means the hunter creates additional options for every hunting spot by establishing multiple trees stand locations giving flexibility to maneuvering in on a deer with the minimum of effort rather than having to take the time during a hunt to cut tree stands and shooting lanes. Ground blinds are permitted. The natural blind of tree limbs combined with a camouflage clothing or that of a commercial blind is fine. Just as with tree stands, blinds are left in the field at the hunter’s own risk. All the text provided by us and the many hunter accounts spread throughout the web site provide one underlying theme that we started this discussion with. All concern execution of the hunt. We are not experts, we are not deer hunter trainers, we do not offer deer hunting techniques. Other than illustrations of what has worked for many first time MAHA members deer hunting our land in Kansas, Iowa or Missouri. What we offer is the hunt itself. 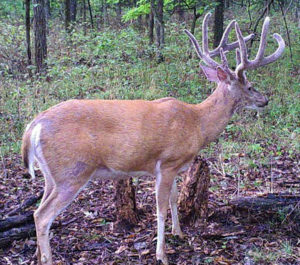 For those that want to enjoy their own self guided deer hunting, hunt private hunting lease land and do so on their schedule throughout any part of the season in Kansas, Missouri and Iowa that is what we offer. It all starts with scouting and we encourage all to scout.